Vardhaman Mahaveer Open University (VMOU) has released the result for VMOU MBA Entrance Test 2019 (MET Jan session). The entrance test conducted at selected cities of regional centers decided by the University. The candidate who wishes to pursue the said course had applied before the last date. Now, the application form for VMOU MBA Entrance Test 2019 is over. Check more details on this page such as Application form, Application Fee, Admit card etc. Latest: Result of VMOU MBA Entrance Test 2019 (MET) is now available. Click here to check the same. 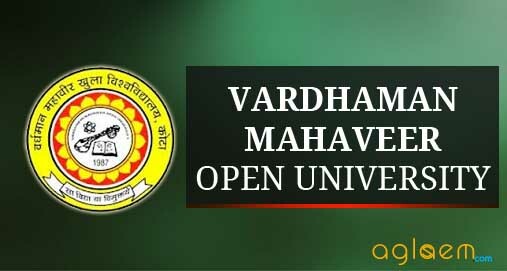 Vardhman Mahaveer Open University, Kota (earlier Kota Open University, Kota) was established by an Act of the Rajasthan State Legislative Assembly in 1987 to achieve Promoting and developing distance education in the State of Rajasthan. Schedule for VMOU MBA entrance test 2019 is given below. Graduate with 50% marks or Bachelor’s Degree with three years of supervisory/managerial/professional experience or Professional Qualification in Accountancy/Cost and Works Accountancy/Company Secretary etc. or Master’s degree in any subject. Note : ‘Professional’ means a person holding a degree in Engineering, Law, Medicine, Accountancy etc./ ‘Experience’ means work experience of a person during or after acquiring the qualification as specified above / Supervisory experience means that person is in the supervisory grade and supervising the work of a minimum of three subordinates reporting to him/her. / Managerial Experience means that the person is concerned with decision-making responsibilities. Qualifying for the Management Entrance Test (MET) organized by VMOU or scores obtained in MAT/CAT/CMAT/any other recognized test organized by Competition Test Agency during last one year. University reserves the right to exempt the test or decide the cut off pass percentage for admission. The requisite Score Card of the test is to he enclosed with the Application Form if test score of other agency is to be considered for Admission. One who qualifies the Management Entrance Test will be required to fulfill the admission eligibility as mentioned above. The Entrance Test will be conducted at selected cities of Regional Centres to be decided by the University. Those candidates who successfully fill their application for MBA entrance test as per schedule, thecan download their admit card for the same from the official website. Admit card for MBA entrance test is available for download before the examination. The admit card is an important document. Those candidates who will not carry their admit card at the time of examination they will not be allowed to enter in the examination hall. The direct link to download Admit card will be given on the “Admit Card” page. Enter login credentials – Roll Number or Name and Date of Birth. Make sure your computer is connected to a printer. Print the downloaded admit card. MBA entrance exam for MBA admission pattern given below is as per last year. Note : The candidate has to complete all the four sections in one single session of 120 minutes. MBA Fee Structure for MBA admission structure given below is as per last year. The Fee for Management Entrance Test (MET-2018) Rs. 1000/- (Rupees One thousand only) is to be deposited in the Bank through e-Mitra or Online Banking. For Online Application and other details are available on University Website- vmou.ac.in. The fee structure of the MBA Programme is given below. For more details of VMOU MBA Entrance Test 2018 – Download Information Brochure, For reference purpose only. Insofar, only application form of VMOU MBA has been released, rest of the Information on this page is based on last year information brochure and for reference purpose only. As soon as VMOU MBA will release the details, and Information will be updated here.